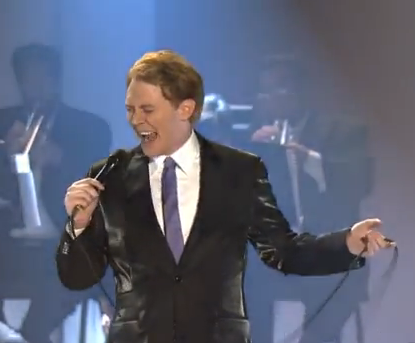 Clay Aiken – Blame It On Ben Cohn! Did you enjoy the Instagram and Tweet that Clay posted on Tuesday? I did and I let him know by liking them both on his accounts!! What were you doing in 1968? If you were around at that time, you probably heard one of the biggest pop music hits of the year. Written by Mike d’Abo and Tony Macaulay, the song was released by The Foundations. Do you know what song I am talking about? 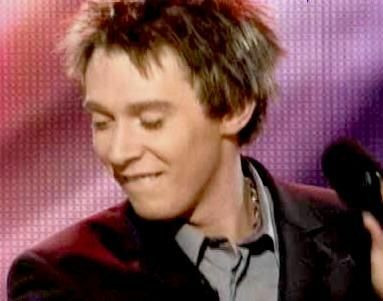 Well, Clay Aiken sang it on American Idol and then blamed Ben Cohn for the “high” range of the song on his PBS Special…. Yes…It is Build Me Up Buttercup. 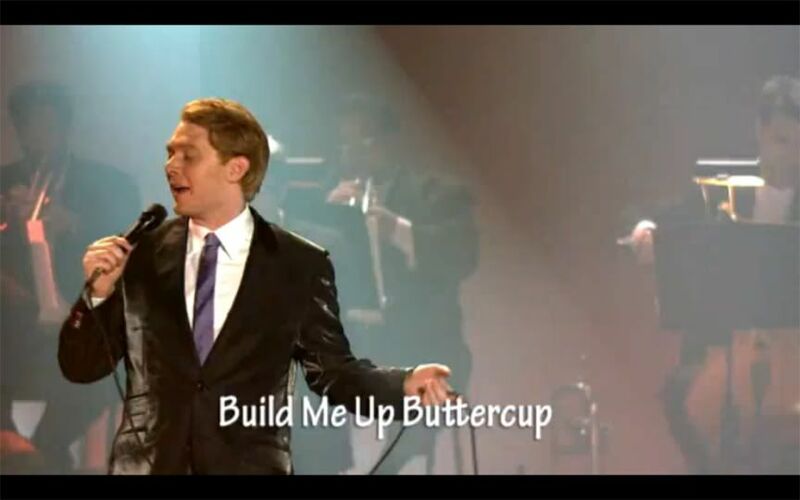 “Buttercup” reached the number 2 spot on the UK charts and the number 3 spot on the Billboard 100. It was on the Billboard chart for 11 weeks. Younger music fans were probably introduced to Build Me Up Buttercup when it was included in the 1998 film, There’s Something About Mary. The actors of the film actually made a video of the song. All the main actors mimed the words in the character of their role in the movie. For some reason The Los Angeles Angels of Anaheim play “Buttercup” during the seventh-inning stretch. Of course, it is played after Take Me Out To The Ballgame. The crowd sings along and seems to enjoy the song. 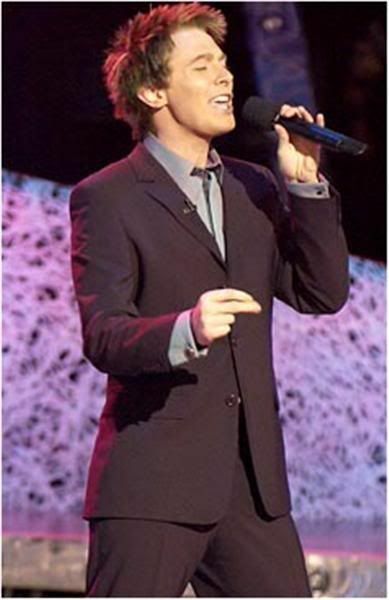 On April 29, 2003, Clay Aiken sang Build Me Up Buttercup on American Idol. It was the Top 5 show and the first time each contestant sang two songs on the same night. Neil Sedaka was the celebrity judge for the evening. Clay’s rendition of the song was a fan favorite so it was included on Clay’s PBS Special, titled Tried & True, Live! The talented Ben Cohn wrote the arrangement of the song that made Clay work the upper range of his voice. Clay received a standing ovation for the performance at the live concert. The talented SueReu put together another fabulous video, combining many different Clay performances of “Buttercup”. Any time we get a SueReu video we know we are in for a treat. ENJOY!! Maybe we will hear more from Clay today. I always enjoy his tweets and especially his Instagrams! 68 was the year I was born. Don't remember much of that year or the next 😀 . This is one of my favorites of Clay's songs. I dearly love Clay singing this song! The upbeat and the high notes he hits are beyond words! Even though he claims he hates the song, Clay gives the audience what they want to hear! Thank you CANN and SueReu for sharing the video! I really love Buttercup! I love the way he sings baby baby. SueRue always does a great job. I will be checking out Instagram regularly now. Good post musicfan. ❤️UNCONDITIONAL love for you Clay. Keep posting. A great way to start the morning with a smile. Thanks! I remember that Simon asked him what kind of silly song he was singing and Clay said something about it being​ from Britain! People chuckled at that! Error: Error validating access token: Session has expired on Tuesday, 21-Aug-18 16:13:01 PDT. The current time is Thursday, 25-Apr-19 19:04:38 PDT.